If you’re anything like me, spring break is a little bit terrifying. It’s not that I don’t look forward to the time off and the opportunity to break free from the monotonous schedule. That’s fantastic! The terrifying part is finding a way to entertain my family without breaking the bank. The last thing I want to do is listen to my kids say, “I’m bored!” for a week straight. Or get stuck eating ramen for 40 days and 40 nights. Yuck. Yuck. Double Yuck. But I’m no Bill Gates and airfare can be crazy expensive. 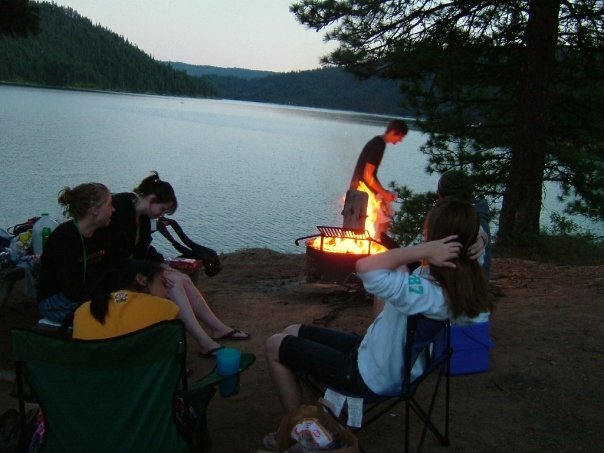 So, here’s a list of 7 awesome ideas for budget-friendly spring break trips and activities. They all get my Staycation stamp of approval. If you’re craving delicious rays of sunshine and a cool dip in the sea, I’ve got a budget-friendly alternative for you. 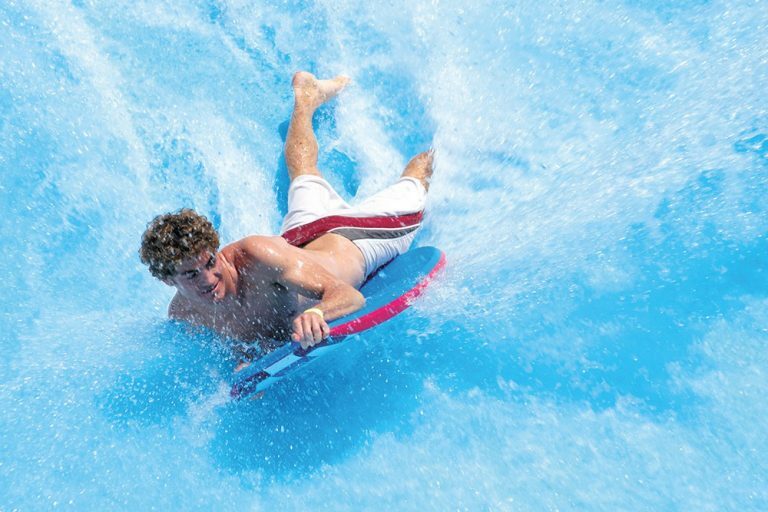 Pack up the fam, and head on over to Silver Rapids Indoor Waterpark in Kellogg, ID. No, there isn’t a real beach, but there is surfing. Weird bonus? It’s all indoors, so no sunscreen necessary. Goodbye blisters, hello cabanas. (Yes, they actually have those, too). With water park + lodging packages starting at only $44.75 per person, this is a very budget friendly option to cure your island fever. If you want to nurture your inner ninja with some classic espionage, I’d plan a day at Wahooz Family Fun Zone . It’s perfect for you Staycationers who want to have a little fun over the break. They’ve got a brand new laser maze that rivals the best scenes from Mission Impossible. Or maybe Get Smart. And, let’s be honest, we all look exactly like Anne Hathaway when we’re slinking through a laser maze. Exactly. Here’s a fun bonus: Wahooz is having a “Spring Break Staycation Sweepstakes” to win 4 Unlimited Passes + a $25 gift card! Talk about budget-friendly, eh? But you better hurry! The entry period closes at 12 AM on March 20th. In honor of St. Patrick’s Day, I wish you luck. And since I’m Irish, you know it’s a potent wish. Follow the link to enter, and be sure to let us know down in the comments if you win! Sometimes, you just really need to breathe in fresh air and appreciate God’s glorious creation. 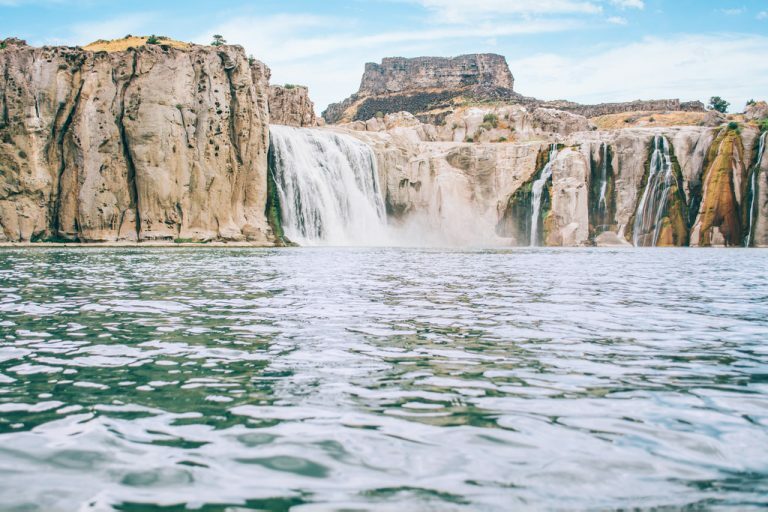 If you’re aching to bask in the beauty and power of nature, why not spend a day at Shoshone Falls, Twin Falls, ID? The sound of the roaring water will remind you how truly spectacular nature is. Since admission is only $3.00 per vehicle, it’s easily the most budget-friendly option on the list. Pack a picnic, go on a hike, and enjoy that lovely scenery. 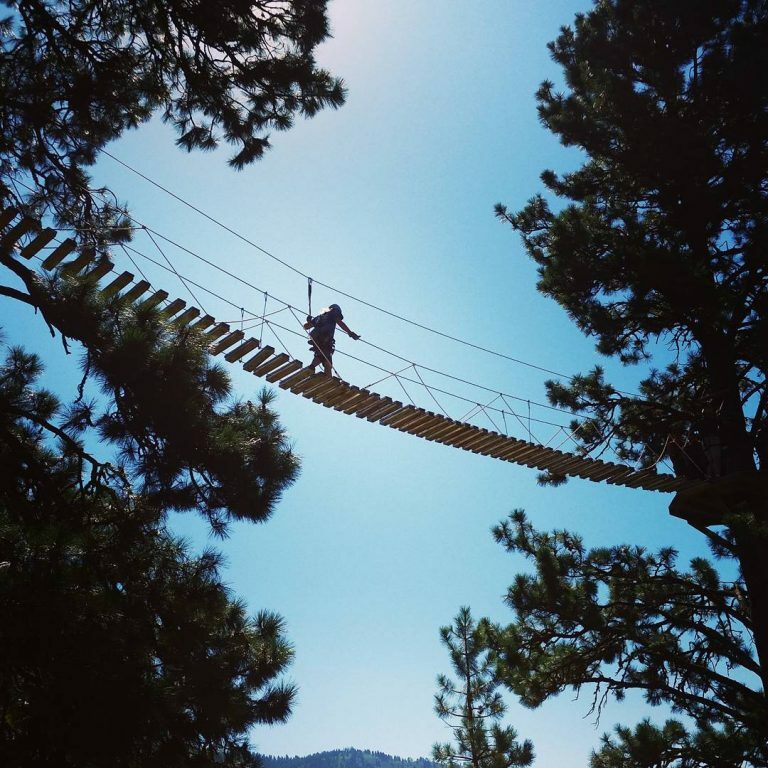 For the outdoor-lovin’ adrenaline junkies, I’ve got the perfect outing to get your blood pumping. Zip Idaho is a fantastic zip line just north of Boise in Horseshoe Bend. 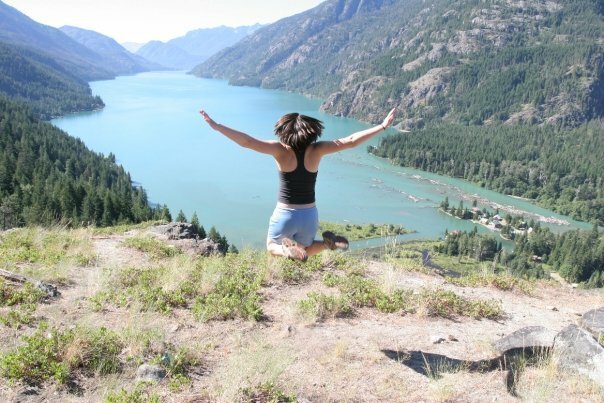 To kick off the zip tour, you’ll hike up about 2,000 vertical feet, reaching elevations of about 5,000 feet. That’s when the zipping begins. And we’re not kidding about the blood pumping thing! On the “Turkey 2000” (just one of six zips) you’ll reach speeds around 50mph! In the words of my three-year-old nephew, “That’s fast like Flash!” This one is a bit more costly at $85-$90 a person (depending on group size), but it’s well worth the extra dough. And it’s perfect timing, because they just started taking reservations… just in time for spring break. So, head on over to reservations to read up on important weight restrictions, clothing recommendations, and to make that exciting reservation. Oh, and parents? This one is teen approved. You’re welcome. How could I talk about spring break and not mention Spring Skiing? You GUYS, it’s the last chance to enjoy that luscious powder until next winter. Need I say more? 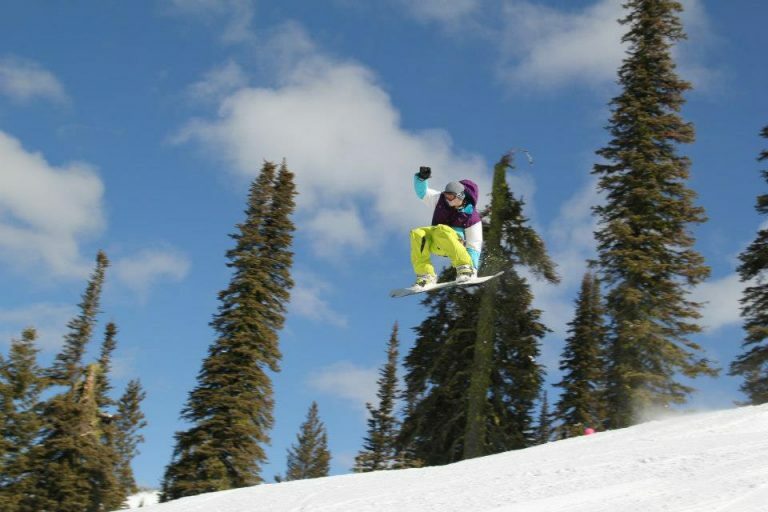 Check out last blog post link for info on a few of our favorite ski hills. If you’ve got music in your soul and tend to sing-speak everything you say, the Treefort Music Fest in Boise, ID is your dream come true. Happening March 23rd-27th, it boasts an epic lineup of musicians where you’re bound to find your jam. Seriously, go. You’ll leave with a pep in your step, and a rockin’ beat in your head. Plus, they’ve got ticketing options to fit every budget. From single show and single day passes, to 5 day musical-buffet wristbands for the whole shebang. No matter your budget, I’m sure you’ll find your groove. But no matter where you go or what you do, I hope you have a fantastic spring break and enjoy every single minute of it! If you’d like, share your spring break suggestions in the comments below. We’d love to hear the crazy adventures (past and present) you’ve cooked up!